"The first pack of tables include Star Wars Episode V: The Empire Strikes Back, Boba Fett, and Star Wars: The Clone Wars. Beyond these exciting tables, there are seven others in production as we speak, all to be revealed as 2013 unfolds. 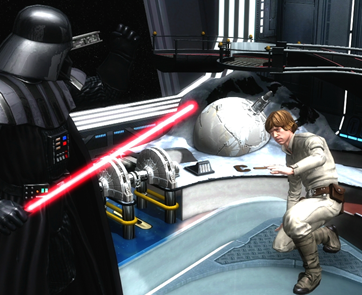 Each table features a different iconic moment from the Star Wars universe, with interactive 3D characters and unique gameplay. If you have not yet downloaded Zen Pinball 2, it is pretty easy to do. The free download will give you access to a great library of pinball content, where you can download demos for each table and pick which you’d like to buy. All content is cross-buy entitled on PS3 and PS Vita." Will you be enjoying the Force on Zen Pinball for the PS Vita? Tell us in the comments below!